Rand Paul wants to cut taxes. Like no one else before. He also wants to simplify the tax code, eliminate the estate and gift taxes and wipe out investment taxes too. And he wants to do it by way of a "flat tax." "As President, I would promote a Fair and Flat Tax plan, known as the 'EZ Tax.' My tax plan would be the largest tax cut in American history, reforming individual, business, and worker taxes," the Libertarian-leaning senator from Kentucky wrote on his new 2016 campaign Web site. The big idea behind a flat tax: Move from an income tax system with many rates to one single rate. Kill all but a few tax breaks. And make all investment income tax free. Generally, the goal is to only tax money once: either when it's earned or when it's withdrawn after being deposited or invested. Not all flat-tax proposals are alike, however. They can differ in how high they set the rate; how big of an income tax exemption they allow for all filers based on family size; how many other tax breaks they include; and whether they eliminate payroll and estate taxes. Paychecks: Individuals would pay 17% tax on wages and salaries. The net effective rate they pay would almost certainly be lower assuming they're allowed to take an exemption, which is typical under a flat tax. For example, say you gross $100 in income and get to exempt $20. You'd only pay 17% on the $80 that remains. That works out to be $13.60, or just 13.6% of your gross income. Business income: Businesses would be subject to the same 17% rate. Investment income: Capital gains, dividends and interest would be tax free. Payroll tax: Low- and middle-income workers would get an exemption from the Social Security tax. How much isn't clear. Estate and gift tax: Eliminated. Alternative Minimum Tax (AMT): Eliminated. It's not clear how Paul's campaign proposal for a flat tax differs from the flat-tax proposal he's made in the past two years. Under that earlier proposal, Paul said he would preserve and increase both the personal exemption and standard deduction. He would also keep tax-free fringe benefits to employees, such as employer contributions to help pay for workers' health insurance. And all capital gains made on the sale of one's primary residence also would be tax-free. A frequent criticism of the flat tax is that it may disproportionately benefit the very rich, since they have so much investment income, which would be tax-free. But given how few details there are about Paul's proposal, it's too early to say what the distributional effects would be. What can be said is that his flat tax proposals would bring in far less revenue than the current system. Why? If he wanted to maintain the current amount of revenue, that would require a flat rate of at least 25%, said Joseph Rosenberg, a senior research associate of the Tax Policy Center. Paul's proposal outlined Tuesday would, by the candidate's own estimate, bring in $700 billion less revenue every year than the current income tax system. 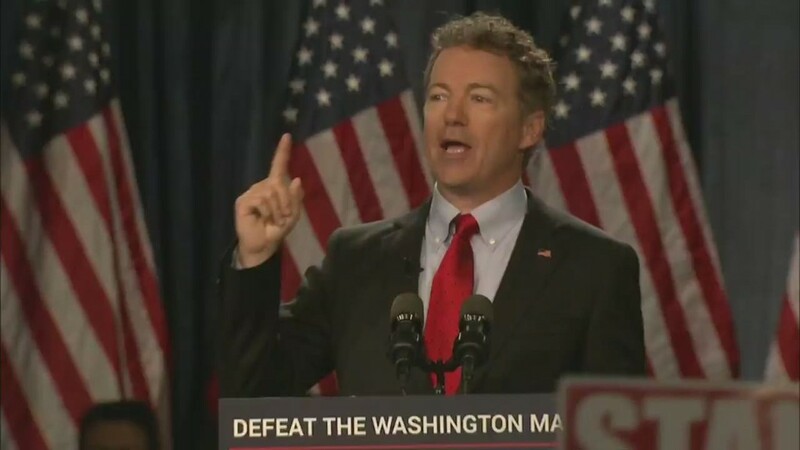 At the same time, Paul stressed his disdain for the country's debt when announcing his bid for the presidency. "Stop spending money you don't have," he said. That goal will be much harder to reach under his flat tax plan. A spokesman for Paul's campaign told CNNMoney full details on his plan will be released "in the coming weeks."